Closeout. 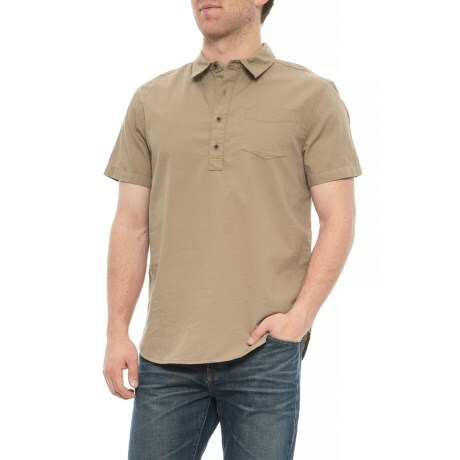 The prAna Brandt shirt is a versatile pullover that takes the classic camp shirt in a new direction. Available Colors: DARK KHAKI. Sizes: S, M, L, XL, 2XL.